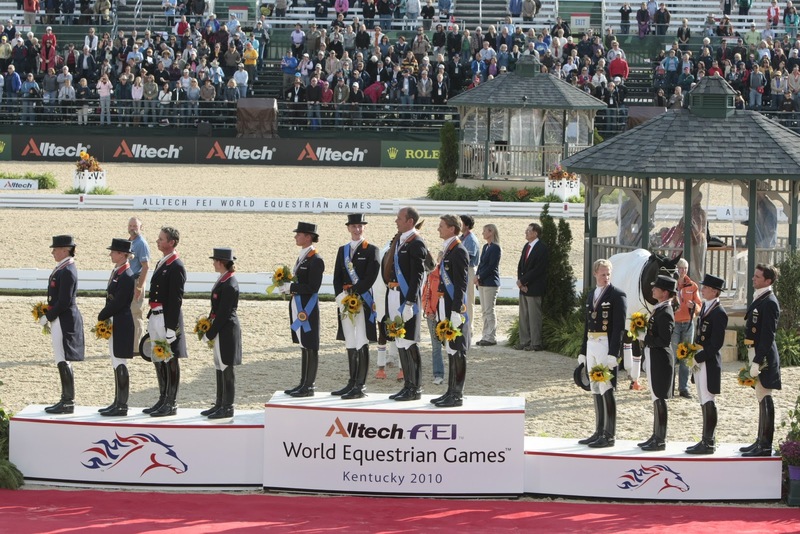 Lexington, Ky., Sept. 28 — The teams from the Netherlands and Great Britain each did something they’ve never done before in the Dressage World Championships, presented by Alltech, at the 2010 Alltech FEI World Equestrian Games. The Netherlands won the team gold medal (229.74) for the first time ever, and Great Britain won the team silver medal (224.67), the first team medal they’ve ever won in the World Games. Germany earned the team bronze medal (220.59), marking the first time they have not won the team gold medal since 1970. The United States finished close behind in fourth (218.12). 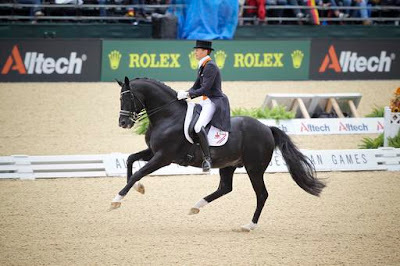 As expected, superstar Moorlands Totilas, with Edward Gal, led the Dutch team to victory by topping the individual standings with a score of 84.04 percent. 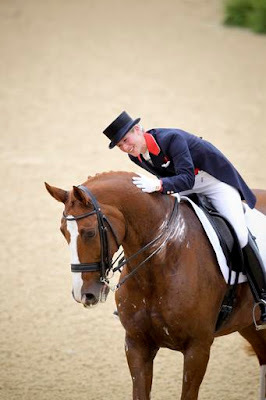 Teammates Imke Schellekens-Bartels, on Hunter Douglas Sunrise, and Hans Peter Minderhoud, on Exquis Nadine, provided scores of 73.44 percent and 72.25 percent to secure the gold medal. Both of their scores became absolutely necessary this morning when their fourth teammate, Adelinde Cornelissen, on Jerich Parzival, was eliminated by the ground jury because the horse had blood visible in his saliva. Immediate examination found only a small cut on the tip of his tongue. Cornelissen rode Jerich Parzival in the awards ceremony and received her gold medal. Teammates Carl Hester, on Liebling II, Maria Eilberg, on Two Sox, and Fiona Bigwood, on Wie-Atlantico Ymas, backed up Bechtolsheimer’s outstanding score. Isabell Werth, the former World Champion and Olympic gold medalist, led the German team, scoring 75.40 percent on Warum Nicht. She has been a German team member for more than 20 years, and this is the first time Germany has not won the team gold medal at the World Championships since 1970. She noted that this was the first World Championship start for her three teammates. “We needed a lot more points. We did a good job, but Laura did a super job. The Dutch and the British were just better this time, and we have to work harder,” said Werth. 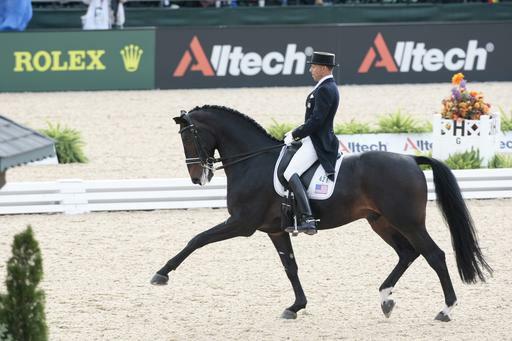 Stephen Clarke, of Great Britain, the president of the ground jury who judged at C, had high praise for the riders in the Dressage World Championships. 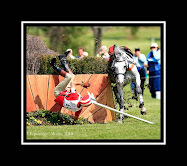 “I think the level of riding was fantastic. They all really took risks and made it exciting to watch and for us to judge. It was a real nail-biter, especially from where I was,” he said. The Dressage World Championships, presented by Alltech, continue tomorrow (Sept. 29) with the Grand Prix Special, after which individual medals will be presented. 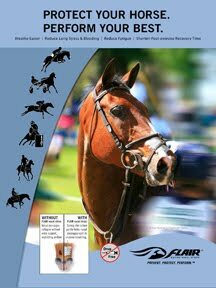 The top 30 riders in the Grand Prix will go forward to the Grand Prix Special. Dressage concludes with the musical freestyle on Friday night.